Mr. Fitzgibbons is a strategic growth and product development specialist in the life sciences, consumer products and industrial sectors. Prior to joining Madison, Mr. Fitzgibbons was a management consultant at Monitor Deloitte, a global strategy consulting firm. At Monitor Deloitte, he worked with management teams across consumer, healthcare and industrial sectors and led numerous client engagements with a focus on growth, innovation, analytics and M&A strategy. Previously, Mr. Fitzgibbons served as a life sciences consultant at Putnam Associates and developed growth strategies for Leica Biosystems while at Danaher Corporation. 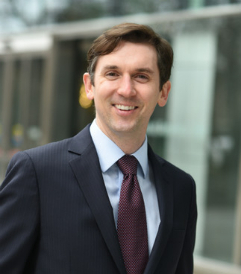 Mr. Fitzgibbons earned his MBA in Management & Strategy and Marketing at Northwestern’s Kellogg School of Management, graduating with distinction and a Bachelor of Arts degree from Duke University.